I’ve been nominated for a Liebster Award by my the fabulous Miss B at Laugh, Love, Prosper. Much love and gratitude to you, darlin’! She was very helpful in explaining the rules and answering my questions. If any nominees need clarification see her post by clicking here. 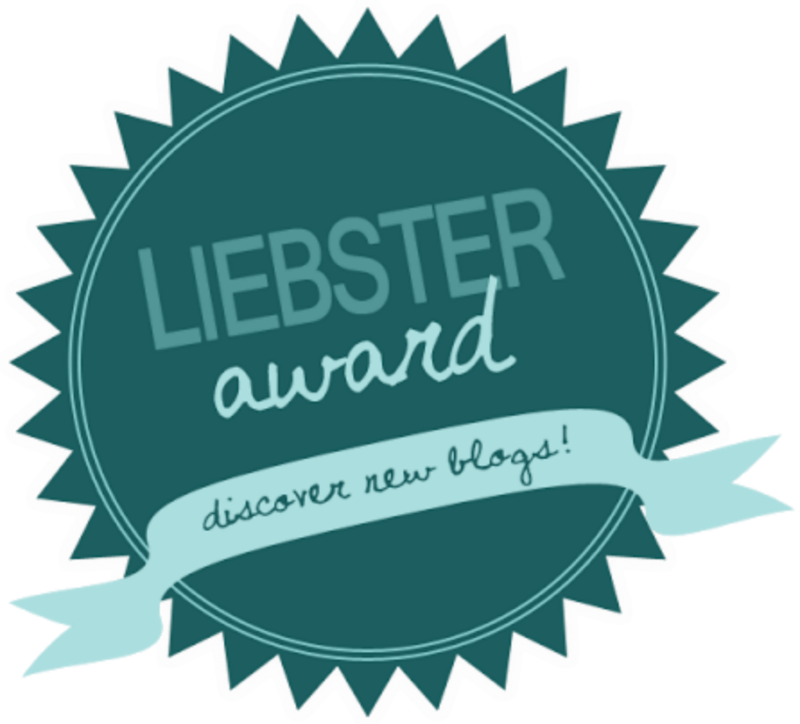 The purpose of the Liebster Award is to highlight new bloggers and share the love with our fellow writers. Nominees are to answer questions given by the person who nominated them and then in turn nominate 11 other bloggers. 3. Nominate 11 bloggers (who have less than 200 followers on twitter) and link them. Not all my nominees have Twitter so I also looked at the number of WordPress followers. 5. Notify all nominees through a social media/blog. 1. When you were a kid, what did you want to be when you grew up? Did that happen!? I wanted to be a cartoonist for Mad Magazine. It sort of happened–every year in high school I drew a Mad Magazine-esque parody of our spring play. I didn’t earn any money, but I became a minor celebrity at school. Now I channel my creativity with writing. 2. What celebrity/famous person have you been told you look like? Has this happened often? Julia Roberts or Scarlett Johansson. Yes, it happened often. Sorry to humble brag…no, I’m really not. 4. Who has been the biggest influence on you and how have they impacted your life? A very special lady named Margaret who has been my confidante, sounding board, and mentor. She challenges me and helps me mine the depths of my mind. I have grown more in the five years I’ve known her than I have in my thirty six years on earth. 5. What is your most annoying habit? Perfectionism and thinking too much, which are a stellar combination of self destruction. 6. What five famous people (dead or alive) would you invite to a dinner party and why? Oscar Wilde for conversation, my Italian great grandmother Clementina for the food, Jesus Christ for the wine, Martha Stewart for the place settings (but then she’d have to go after setting up), and Snoop Dogg for obvious reasons. 8. What is the best book you’ve ever read and why? “The Namesake” by Jhumpa Lahiri. I really identified with the main character since I was going through a quarter life crisis around the time I read it. Plus, Lahiri’s hyperrealistic style of writing can make you weep for humanity at the description of a grocery list. 9. Who would you want with you if you were stranded on a desert island? Tom Hanks’s character from “Castaway” after he’s been there for a while so he can do all the heavy lifting while I gossip about him with Wilson. 10. What was the last picture you took on your phone? A picture of myself in a pretty little black dress (not to be confused with a “little black belt,” ha ha ha) as I got ready for a grand little gala for one of the local arts organizations. If you want to play, please write a post on your blog (don’t be like me and write it in the comments) and answer the questions below. Then pay it forward and nominate 11 other bloggers you admire. Write new questions for them and be sure to let them know that they’ve been nominated. 1. What’s your perfect Sunday? 2. What is the title of your very first blog post? 3. What is your favorite post on your blog and why? 5. If you could go for a walk with anyone (living or dead), who would it be and where would you go? 6. What TV show did you last binge-watch on Netflix, Hulu, or similar service? (If you didn’t then go polish your halo). 7. What (or whom) do you think about for inspiration when the going gets tough? 8. If you could learn another language what would it be? 9. Toilet paper roll–under or over? 10. What did you think about when you woke up this morning? Should you choose to accept the award please write your post and let me know. I’d love to read it as much as I enjoy reading your other posts. Thank you so much!! I am going to post in response to this soon. I greatly appreciate being selected 🙂 Thank you!! This looks really fun. Were you nominated by someone you follow? I’m not sure. I think she might have been following me. Somehow she found my blog, and I really appreciated the recognition.